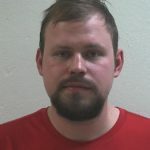 Superior Police have arrested City Councilor Graham Garfield following a report of a domestic dispute at his residence on Banks Avenue Thursday night. Assistant Police Chief Matt Markon says, during the investigation, it was learned that Garfield left the residence before police arrived. He was later located by Douglas County Sheriff’s Deputies near Pattison State Park. He was taken into custody around 9:00 p.m. without incident for disorderly conduct, endangering safety by use of a dangerous weapon and operating under the influence of an intoxicant. Formal charges will be decided by the Douglas County District Attorney’s Office. In a statement, Superior Mayor Jim Paine says he was alarmed to learn about the “shocking allegations” against Garfield and will have further comment when the law enforcement investigation is complete and charges have been filed.